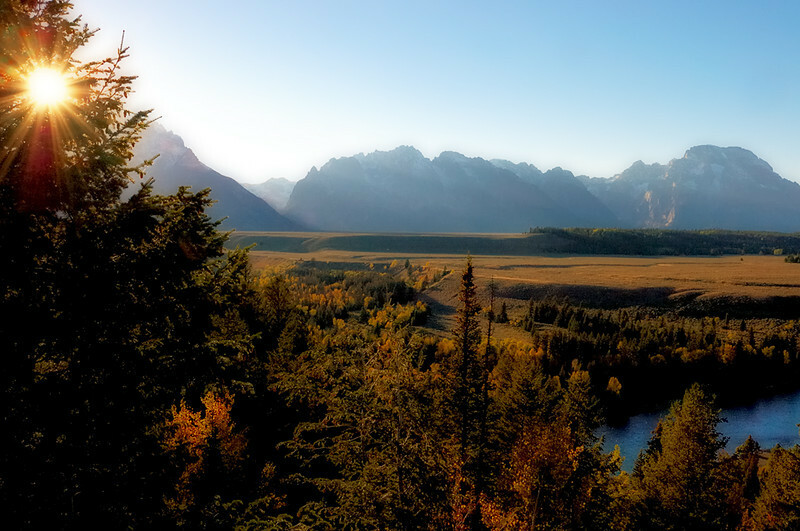 A different take on the view form the Snake River overlook at Grand Teton National Park just a few meters from where Ansel made one of his more famous images (and one of my all time faves). Orton processing was used on this version, if you prefer no Orton technique used see the straight version I posted below in the comments. No filter was used for the sunburst effect, just fstop and exposure.